The Svord Mini Peasant knife is simple and efficient, just what you need in a hard-working knife. 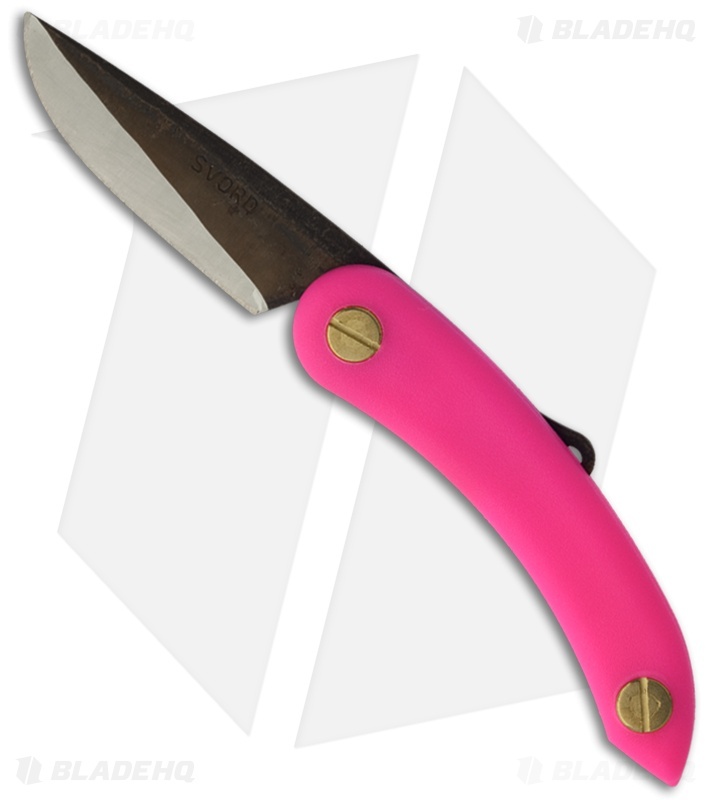 It features a two-tone finished steel drop point blade to handle all your cutting chores. The blade features a lanyard hole on the tang and is non-locking. The handle is lightweight pink polypropylene with a light texture.